Shipping - $50.00 This item does not qualify for our Simple Shipping program. 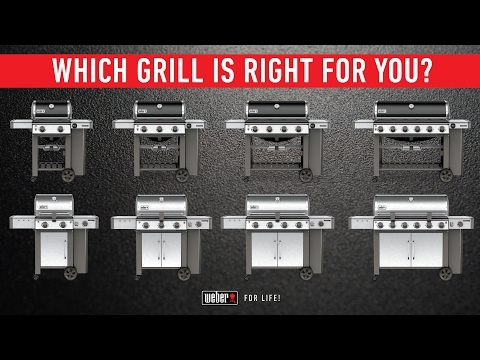 Introducing the all new Weber Genesis II gas grills featuring the new GS4 system which includes an Infinity ignition, revolutionary stainless steel high performance burners, new Flavorizer bars with flame view window and a Grease Management System. The porcelain-enameled Weber Genesis II E-210 features two (2) stainless steel high burners that produce 26,000 BTUs of power. 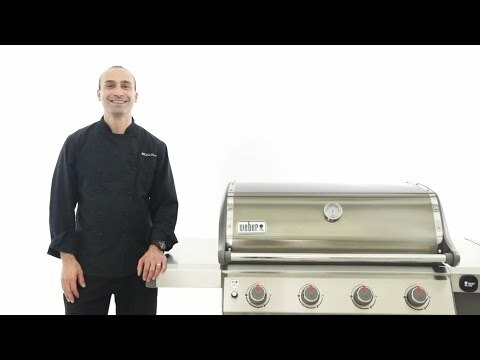 The Genesis II E series gas grills come fully equipped with porcelain-enameled cast iron cooking grates, porcelain-enameled Flavorizer bars and stainless steel heat deflectors to effectively hold and distribute heat evenly over the 380 square-inches of cooking grates. The Tuck-Away warming rack provides an additional 114 square-inches for a generous 494 square-inches of total cooking area. The Genesis II grills come equipped with a Grease Management System that makes clean-up as easy as possible. The porcelain-enameled hood has a center-mounted thermometer to monitor cooking temperatures and has painted cast-aluminum end caps. 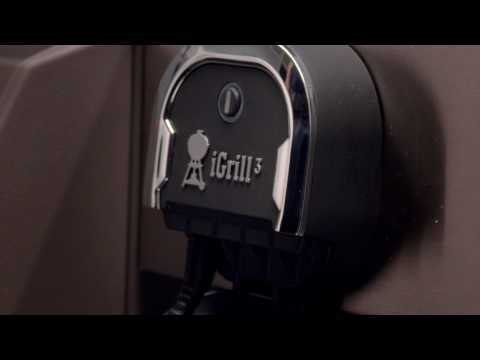 The Genesis II E series grills are iGrill 3 ready and features a fuel gauge on propane gas models. The welded tube frame, open cart design includes two (2) shelves below the control panel and two (2) side shelves, providing much needed prep space with the left side shelf folding down for compact storage and two (2) heavy-duty locking casters and two (2) large wheels. This natural gas model includes a 10-foot flexible hose. Six (6) convenient built-in tool hooks keep your BBQ tools nearby. Cooking Grid Dimensions 18 3/4 X 19"
This is my first natural gas grill and it is wonderful. Easy to assemble, operate, and maintain. Grilled a London Broil to perfection last weekend. Wife and friends raved about the flavor and texture. I have owned several Weber Grills in the past. This one has been my favorite. It appears to have additional favor bars which helps to minimize flare ups. It also came with an excellent cast iron grate. I've been using this grill for approximately 5 months nothing is sticking to this grate and there's been no sign of rust. I've also been using a nylon grill brush which works great on a cool surface. I bought this grill a month ago and have been very happy with it. Assembly was very easy. Was a little apprehensive at 1st with it only having 2 burners. My last Weber had 3 plus the searing burner. We down sized which meant we had to down size our grill and switch to NG. It heats up quickly and does a great job searing and browning meats. It fits perfectly on our deck and I never have to refill a propane tank. Really happy with the solid construction. Costs more than others but will last longer. Love the look and how fast it heats up. This is an amazing grill. I wish I would of bought a Weber sooner. It heats up so fast and the ease of cleaning is also amazing. I bought this grill as a replacement for the Weber Genesis Silver that was damaged by strong winds. Just the right size for two people but can grill for more. If you're hard of hearing (like me) be aware that the igniter is pretty quiet but works great. 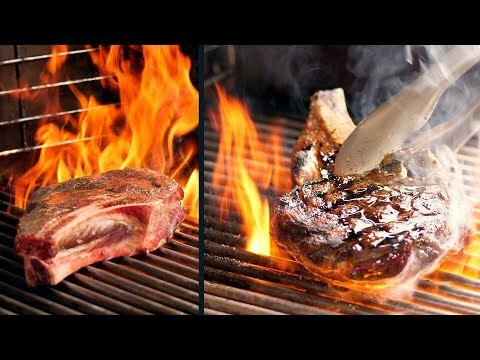 This grill heats up faster and gets hotter than my old one. I'm glad mother nature forced me into a new grill. I wouldn't own anything but a Weber. When I bought my Weber Grill I was looking for a natural gas grill just big enough for two retired people that don't entertain but still like to cook out. I found just what I was looking for at the Weber dealer. My Grill is so easy to keep clean, I just follow the instructions that came with the grill and it is so easy to keep. I also bought the cover for it . My last Weber Grill lasted twenty one (21) years (although I did replace grids and burners) I would have nothing but a Weber. I didn't realize that natural gas grills were available until a plumber mentioned this as something to consider. We had a Genesis Silver for about ten years, and found it to be reliable and durable, but the propane tanks were a hassle. This new grill frees us from them and works perfectly. Well constructed and so efficient. Best grill I've ever owned. Can this grill be hooked up to natural gas line? If yes, will connections be provided? Thanks for contacting us. Yes this can be hooked up to a natural gas line but the connections are not provided. Let us know if we can help you with anything else. 18 3/4 X 19" 22 3/8 X 18" 25 13/16 X 19" 24 1/2 X 19 15/16"